The Lord called home the Matriarch of the Witherspoon family, Bessie Witherspoon, on January 15, 2019. She left this world with the same grace and strength in which she lived her life. She was born to the late Henrietta and Willie Collins and January 29th, 1934 in Uniontown, Alabama. She was a loving and devoted wife to the late Curtis Witherspoon Sr., who she married in 1953. To this union 7 children were born. 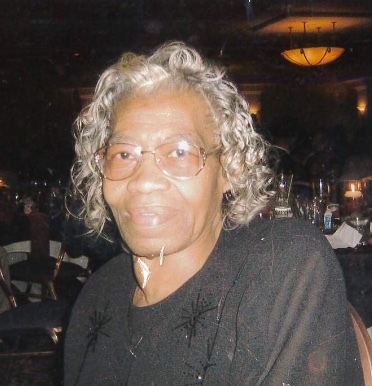 Bessie spent her life dedicated to God and was a member of Zion Temple Baptist Church of Akron, Ohio where she faithfully served on the Usher Board for over 55 years. Bessie retired from Y-Mart in the late 1990’s after 25 years of employment. Bessie was preceded in death by her parents, Willie and Henrietta Collins; husband Curtis; daughter, Barbara Witherspoon, daughter in-law, Stephanie Witherspoon; sisters Dell, Aurelia, Mattie, and Geraldine; brother, Willie Jr.; mother and father in-law, Mary Anne and Mack Witherspoon; sisters in-law, Gloria Collins, Leona (Lewis) Smith, Frances, Rachel (Leonar) Nunn, and Leah (Sam) Scott; brother in-law Chuck Witherspoon; and dear friends, Katherine Boykin and Lula Mae Moore. Left to cherish her legacy are sons, Curtis (Kim) Witherspoon, Colonel Witherspoon, Reed Witherspoon (Sue), and Constanel (Dawn) Witherspoon; daughters, Delores and Felica Witherspoon, all of Akron, Ohio. She also leaves her sisters, Sarah Leatherwood of Detroit, Michigan, Henrietta Collins and Catherine (Dawn) Walton of Uniontown, Alabama; brother, Joseph Collins of Detroit, Michigan; brothers in-law, Andy Leatherwood, William Black, Levi Bryant, and James Warren Sr.; and sisters in-law Emily Nash and Bettye Jean Nelson. Bessie has 23 grandchildren, 55 great-grandchildren, 10 great-great grandchildren and a host of nieces, nephews, family and friends. As a testament to the woman and mother that Bessie was, her daughter Delores dedicated the last 8 years to caring for her mother. A special note of thanks to Erika Witherspoon and Wendy from Absolute Hospice for helping Delores during Bessie’s final journey. The Interment will be at Ohio Western reserve National Cemetery. Procession will form and condolences can be sent to 1168 1st Ave., Akron, Ohio 44306.